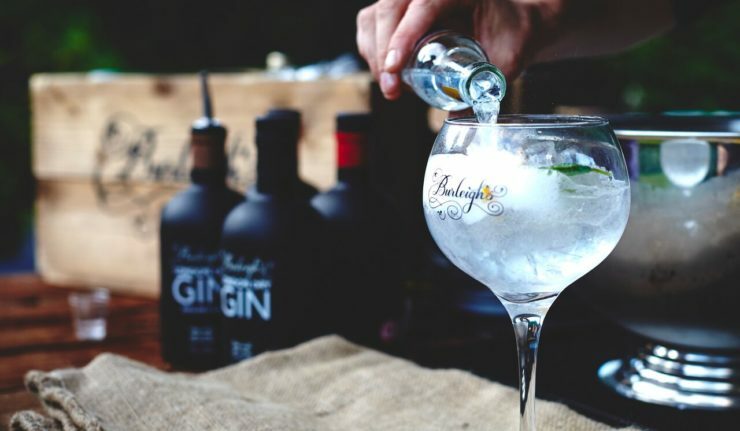 Burleighs Gin are making sure than summer lasts as long as possible with some fantastic events planned in September, from a summer BBQ to a journey on an ACTUAL GIN TRAIN. I know, right? 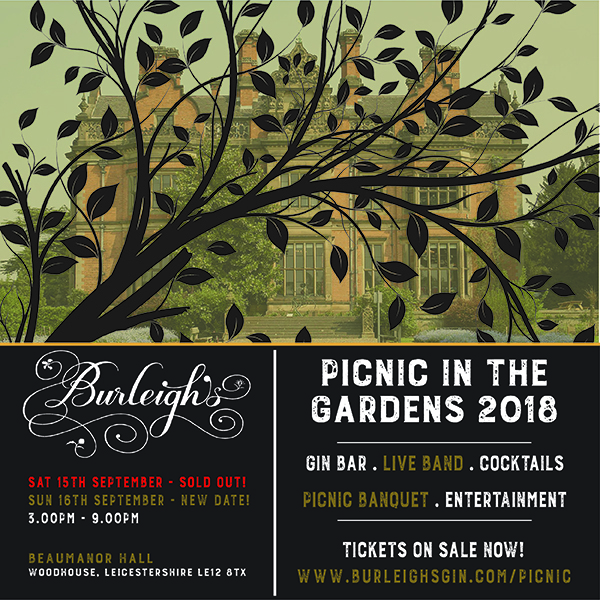 For an afternoon of fun lasting right through into the evening, then why not join Burleighs for their afternoon of al fresco dining, drinking and entertainment at their first ever ‘Picnic in the Gardens’, which will be held in the beautiful grounds of Victorian country house, Beaumanor Hall. Set to be a quintessentially British affair, gather your friends and settle down to enjoy a specially prepared Burleighs picnic banquet, which will encompass the very finest Leicestershire food and drink, whilst taking in the picturesque surroundings. The party will kick in as the sun starts to set, when there will be live music, entertainment and an array of Burleighs Gin cocktails right through the evening! Tickets are priced at £95, which includes entry for 2 people, a luxury picnic for 2 people, a Burleighs picnic blanket to keep, 2 Burleighs gin & tonics, 2 Burleighs Copa glasses to keep and entertainment through the evening. Over 18s only. £95.00 per package (2 persons). TICKETS. We cannot wait for this – it sounds absolutely amazing! 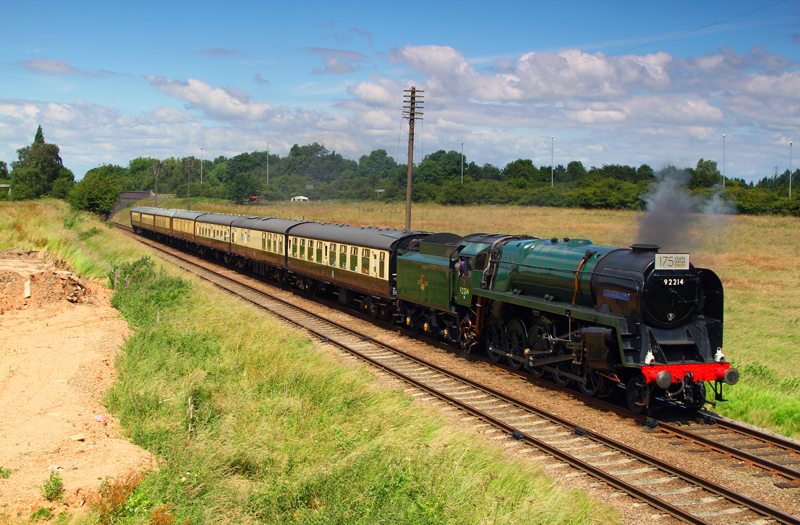 Jump aboard The Grand Burleighs Express and yes, it’s actually on a real steam train. Starting at Loughborough Great Central Railway station you’ll enjoy an evening of fine dining and plenty of gin. 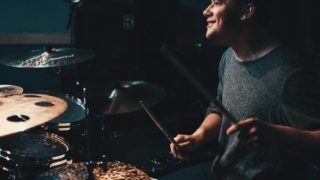 There’ll be complimentary arrival cocktails and canapés, backed by a live jazz band providing the entertainment. 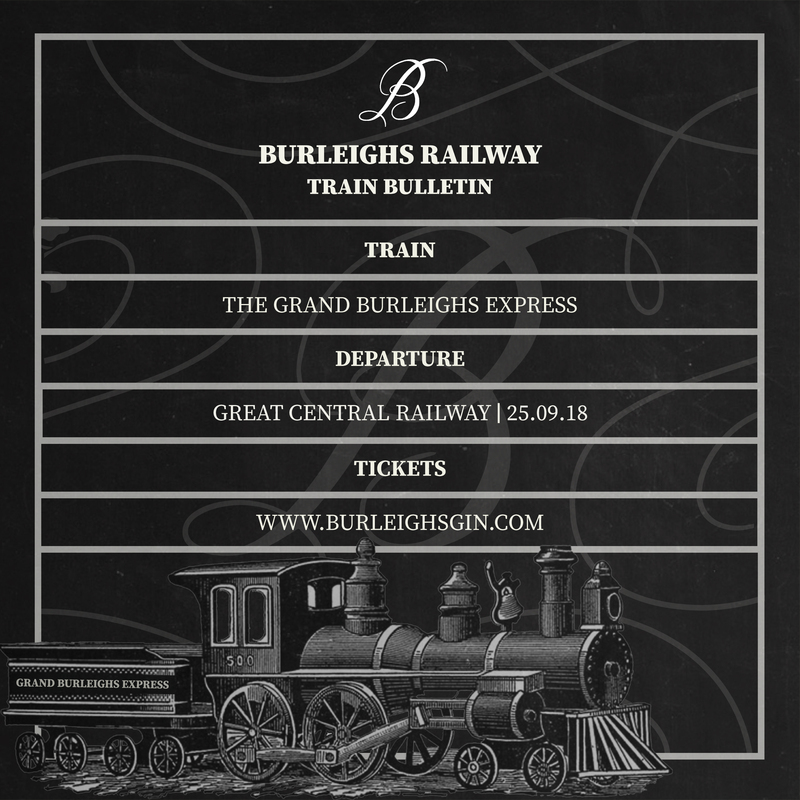 Then all aboard for departure, sit back with your complimentary Burleighs Gin & Tonic whilst The Grand Burleighs Express ventures full steam ahead towards its first stop for the evening in Swithland. Upon arrival, the scenic views of Swithland Resevoir will provide the back drop for a three course fine dining experience, expertly paired with complimentary wine selected by 45 St Martin’s Vintners. That’s not all though as the evening continues towards a second stop at Rothley station. Step back in time as the train rolls into the station and enjoy a further complimentary Burleighs Gin cocktail alight the beautifully restored 19th century platform. Following this, the train will return back to Loughborough with coffee & mints before disembarking and receiving your special Burleighs gift back. What an experience! Don’t miss out on one of the very limited spaces. 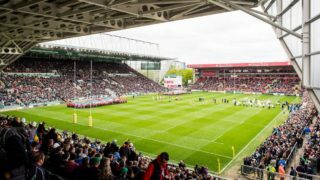 Tickets are priced at £145 and include all food & drink. TICKETS. With 3 fantastic events to look forward to, which ones will you be going to? Join in the chat over on Twitter. Don’t forget you can also keep up to date with all of the latest Burleighs news over @burleighsgin.